Hello! Having a peep out from my hidey hole to show you what I have been up to lately. 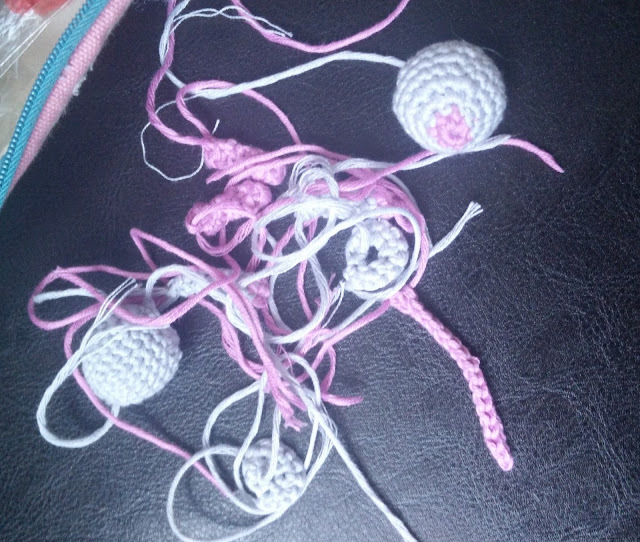 It’s been a while, I know, but for various reasons I have been suffering from a bit of a crochet block lately. It happens when I end up making loads of things for other people, either by making for friends or for a project and the fact that I HAVE to do it take all the fun out of it and I get fed up with the whole thing. Of course I do enjoy making most things, when I actually do them, but I find it hard to get started when I have a deadline to meet. 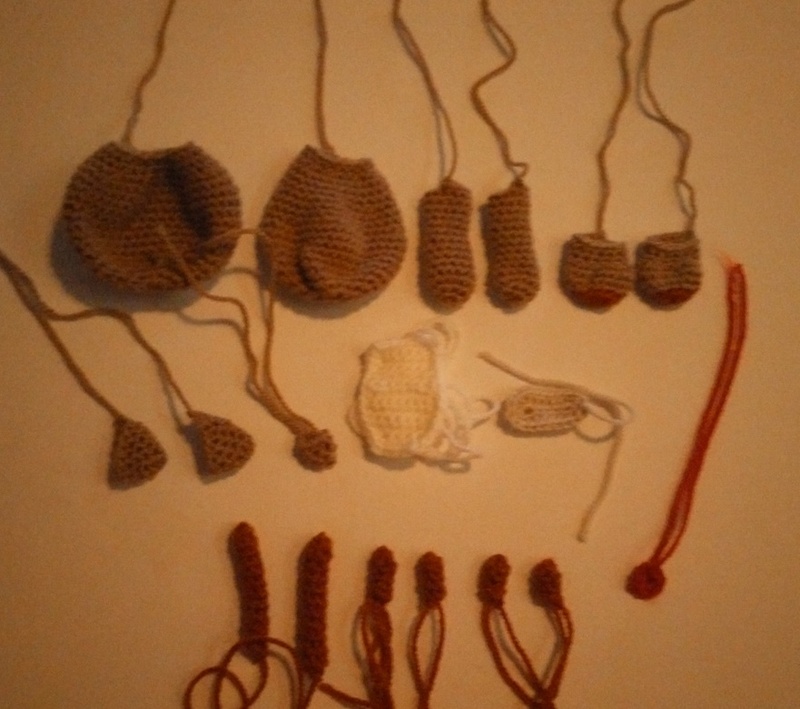 Anyway, my ‘block’ went a couple of weeks ago now and I have my crochet head firmly back on. 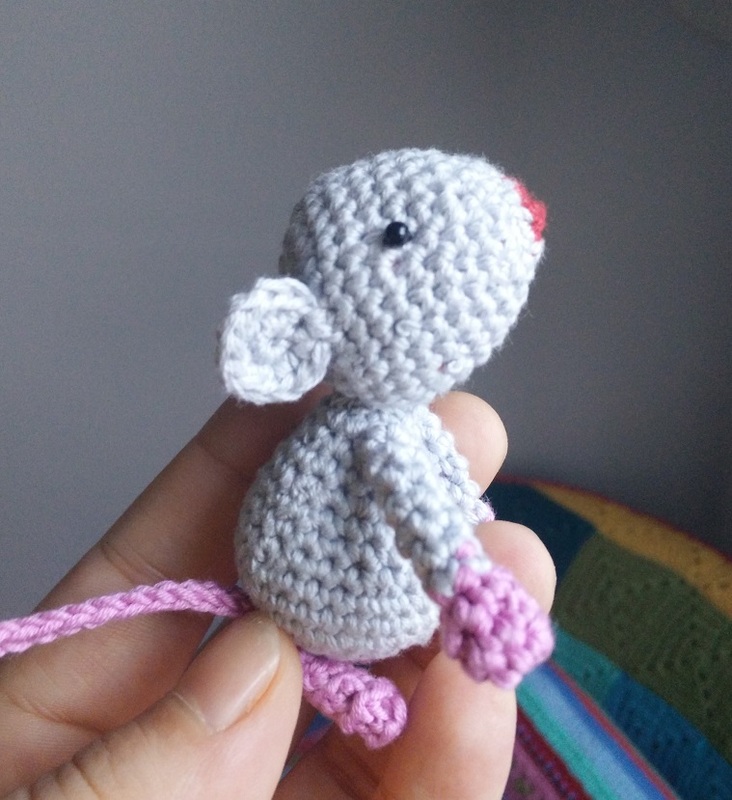 The first thing I wanted to do when I picked up my hook for fun again was tell you about it, but of course I would have to get something made first. This extremely cute Christmas pattern was the first thing on my wanty list. 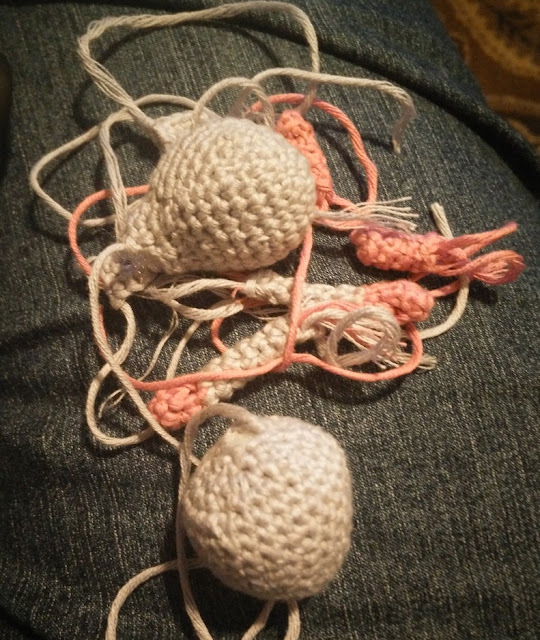 I had the yarn; I had the pattern now if only my eyes were up to such a fiddly precise job. 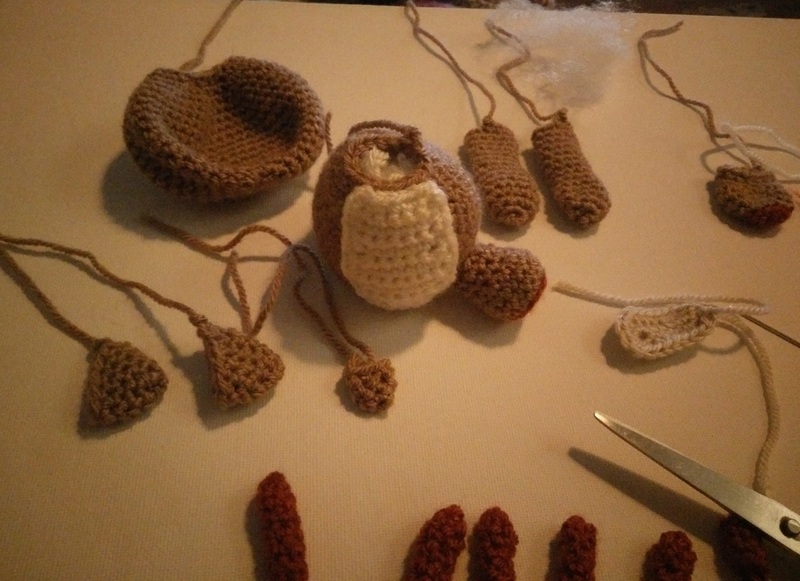 It took ages too make all those mouse bits! And that was just a fraction of it. Not that I am complaining (too much) it will make a lovely addition to my growing pile of woolly decorations. Staying on a Christmas theme after I got the mice done this weekend, I was having a browse and found this adorable pattern for a reindeer by Tales of Twisted Fibers. 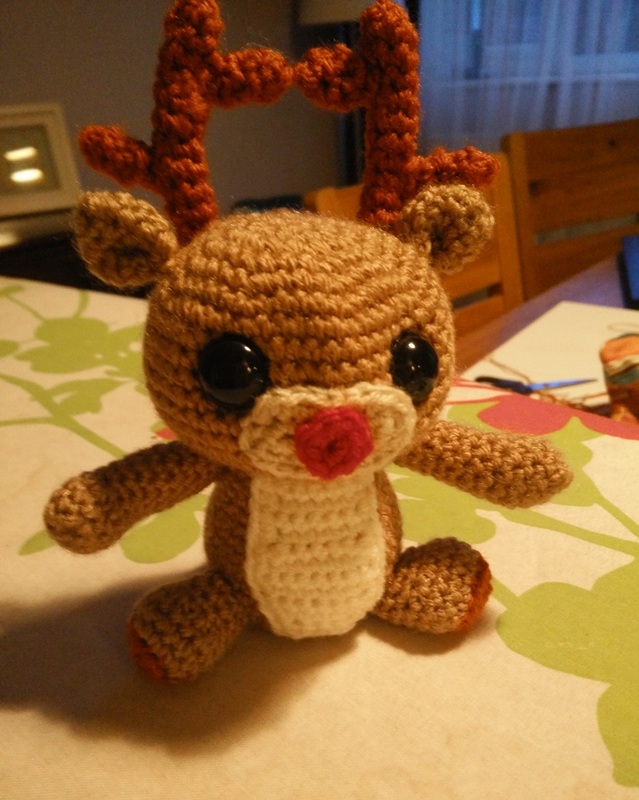 I got the last antler sewn on this morning and here he is, awwww. 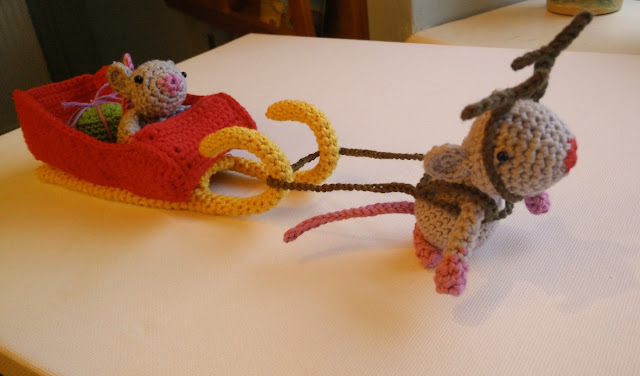 The mousey sleigh is soooo cute. I would say I want one but know that in reality it would be another Minion project!